• Ways to spot and defend against the latest threats: phishing, pharming, brute force attacks. • The simple tweak that secures your devices from the dangers of public Wi-Fi. • Best and worst ways to store passwords. • How to create easy to remember, nearly impossible to hack passwords. • Simple data security best practices to teach your employees. 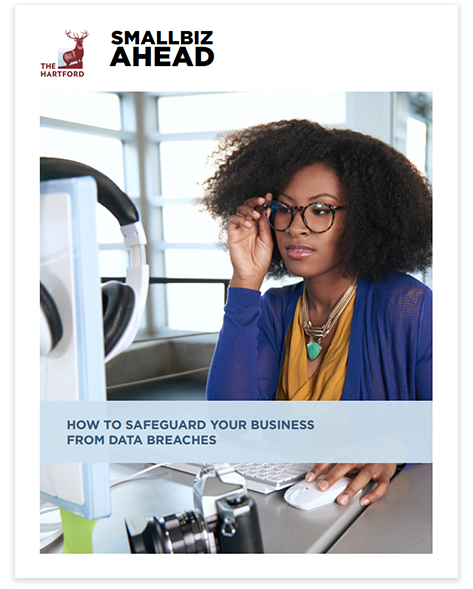 • Step-by-step instructions for responding to a data breach. © Copyright 2019. The Hartford Financial Services Group, Inc. All Rights Reserved. This email message may constitute a commercial electronic mail message under the CAN‑SPAM Act of 2003.